This book was one big bitter bottle of disappointment. It was Julie Garwood at its worst. The Lady lead was freaking irritating. 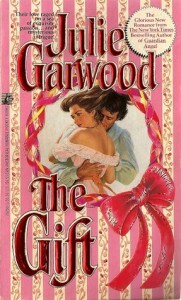 I have read Garwood's other books and truthfully they are alot better than this.I felt like I could wring Sara's (the oh-so-sweet lead) neck half way through the book. Personally I wouldn't suggest it even as mediocre read.